Welcome to Prosperity Pointe! We’re so glad you’ve found your way to our blog! Be sure to check back for future posts to learn more about our Knoxville assisted living facility, our dedicated and caring staff, our memory care services, as well as tips for helping and caring for your aging loved ones. We know that declining mobility and/or health can be stressful for all involved. When it comes time to trust your elderly or disabled loved ones to an assisted living facility in the Knoxville area, we hope you consider Prosperity Pointe. Why Choose Prosperity Pointe Assisted Living? Our assisted living facility provides a comfortable, active, accommodative, personalized, safe, and secure lifestyle for each of our residents. We don’t want our residents to feel hospitalized. A charmingly rustic design provides our residents with a cozy and homey facility. Residents enjoy private bedroom suites and bathrooms; all rooms are equipped with updated nurse call safety systems. Lovers of the outdoors can enjoy a fully landscaped garden, a gazebo, an outdoor dining and patio area, and more. Prosperity Pointe is a gated senior community, so all outdoor areas are safe and secure for our residents. We aim for every Prosperity Pointe resident to be able to age in grace, with independence, with individuality, and in good health. Our dedicated and compassionate staff members each contribute to the facility with a diverse knowledge base and skillset. Our facility offers many amenities, including access to WIFI, a full service salon, a resident laundry facility, a theater room, and more. Prosperity Pointe Founder and Medical Director Dr. Noi Nuyen provides the facility with in and outpatient concierge doctor services. His wife Jamie, a family nurse practitioner, also provides the residents at Prosperity Pointe with exclusive care. We provide memory care services; memory care residents benefit from a dedicated nurse, small group activities, and so much more. Here at Prosperity Pointe Assisted Living, we promise to provide quality assisted living and memory care services within an environment that really does “feel like home.” We take great pride in separating ourselves from other senior communities by providing a facility designed with good old-fashioned homegrown comfort in mind. From our beautiful sunroom to all of the little details, such as the handcrafted handrails and the carved mantel fireplace, we’ve done what we can to make our facility feel like home. You or your loved one will truly prosper at Prosperity Pointe. 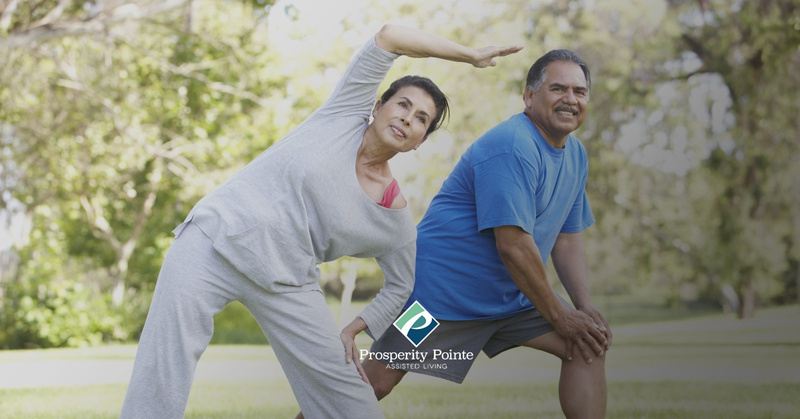 If you’re not sure whether or not Prosperity Pointe is the right fit for you or your loved one, simply get in touch, and we’ll schedule a time for you to visit us for a facility tour. We’re confident that once you’ve seen our amazing facility for yourself, there will be no doubts in your mind as to the quality of care that we provide. Don’t hesitate to get in touch with us today by calling or by contacting us online. We can’t wait to introduce you to Prosperity Pointe.